With a comprehensive readership of buyers and executives across the UK’s leading garden and hardware retailers, Garden & Hardware News is the ultimate medium to showcase products and services. The Garden & Hardware team is dedicated to providing readers with an insightful information source, incorporating lead stories on the latest issues, news and trends in the garden and hardware markets. Through the pages of this industry favourite readers can identify the brands and products they need by exploring new product launches, event specials and specific product showcases. 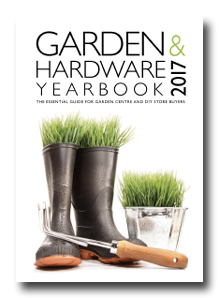 Garden & Hardware News targets buyers, decision makers and senior executives at every garden centre and DIY store throughout the UK. From the high street independents to the multiple ‘shed’ operators, our established readership is influential and actively sourcing new products. Tap into this lucrative market with GHN. Targeting both garden and hardware retailers, Garden & Hardware News offers access to an extensive readership enabling you to make the most of your products. The team is committed to providing the best publication possible in terms of design, content and market awareness. In such a fast-paced and innovative market, both advertisers and readers can rely on our ability to match our product to the needs of the marketplace. Every issue includes our regular features in addition to the product features in the issue dates listed below. Our regular features include Industry News, Diary Dates, Exhibition show guides and reviews, New Products, Interviews and much more.